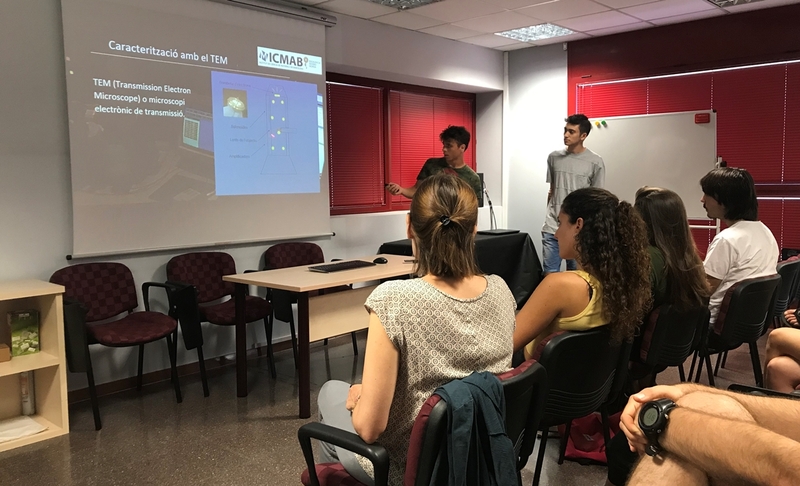 The awards ceremony took place on May 9, 2018, at the IEC, and was introduced by a debate on "Connecting materials science to the young students and adults" by our researchers Susagna Ricart and Arántzazu González, and followed by the awards delivery and the talks of the winners. Queralt Olesti, who won the award for her research project entitled "Acidesa i reflux estomacal: remeis de tota la vida o de farmàcia", supervised by Mireia Blanch Codó (Ins. 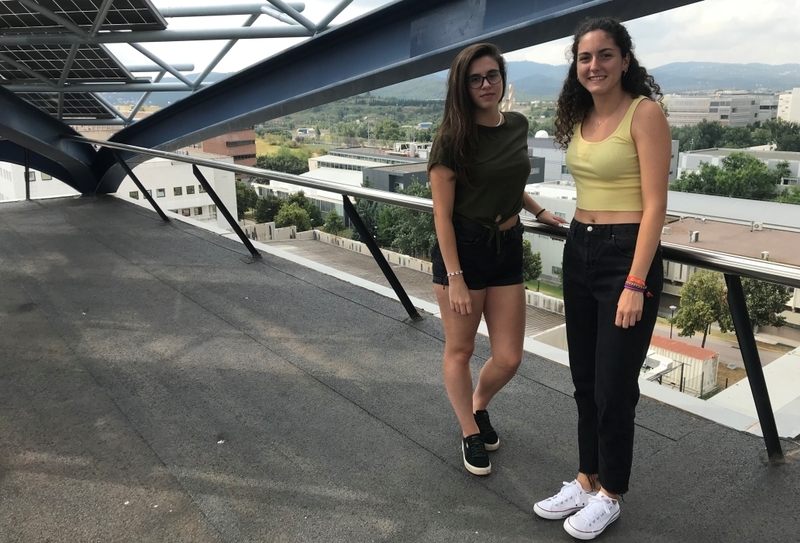 Joaquima Pla i Farreras, Sant Cugat), did her internship with Nora Ventosa, in the NANOMOL group. She could experience the lab-work on the synthesis of nanovesicles and hydrogels. 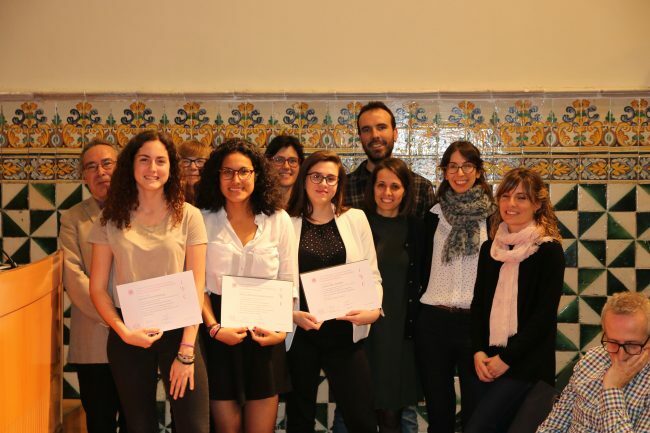 Andrea Díez, who won the award for her research project on "Percepció de sabors i aromes", supervised by Ester Ramos Fernández (Inst. 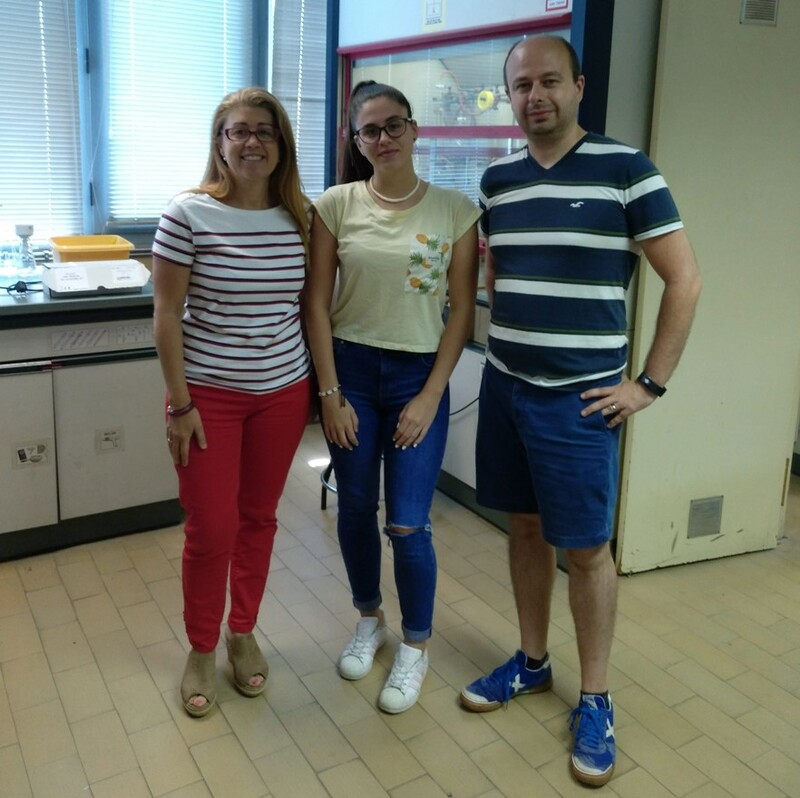 Jaume Salvador i Pedrol, Sant Joan Despí), did her internship with Rosario Nuñez and Albert Ferrer, in the Inorganic Materials and Catalysis Laboratory. She worked in the synthesis of boron-enriched carbon nanomaterials as Theranostic Agents for biomedical imaging and BNCT. Apart from the laboratory, the students could visit our installations and equipment, and attend seminars and workshops related to materials science. Thanks to the Societat Catalana de Química, especially to Carles Bo and Fina Guitart, for counting on us! We hope they had a nice stay with us!